About The Shop — Pulse Boot Lab & Ski Co.
Getting into the right boot isn’t just a matter of comfort. It is a process that delivers the best of comfort, warmth and optimal control. Every foot is different, and every skier has varying requirements of their gear. Our goal is to define those needs, and work through the process together. Sometimes the status quo should be challenged. 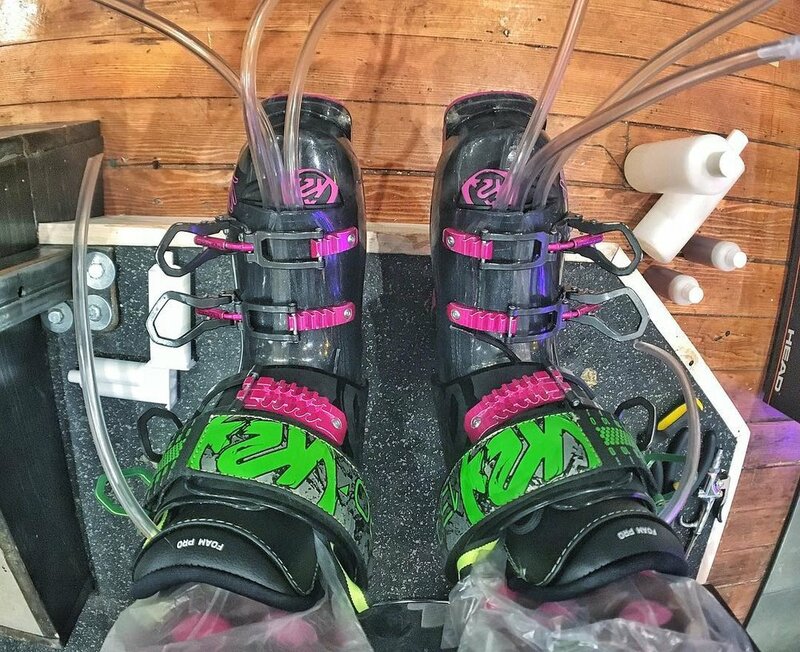 We know that 90% of ski boots are 'sold' versus being fitted properly. At Pulse, when we see a flaw in the equation, we work hard to fix it. Seeing potential to increase value for consumer purchase, we develop and design our own tools, liners, and only bring into the shop products that we are genuinely excited about versus products that are driven by marketing.